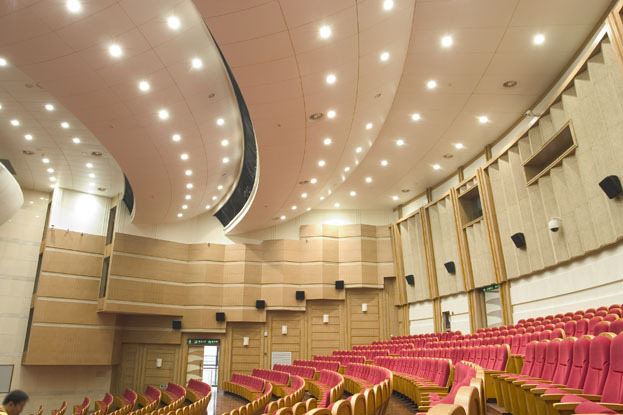 The Zhoushan Grand Theatre takes inspiration from the natural beauty of Zhoushan, the island city within which it is sited. Designed by a team of architects at Zhejiang University's Architectural Design and Research Institute, the design invokes images of the sea and sun throughout the 5-story structure. The architects selected a variable palette of marble and metal, including customized metal ceilings by Hunter Douglas. 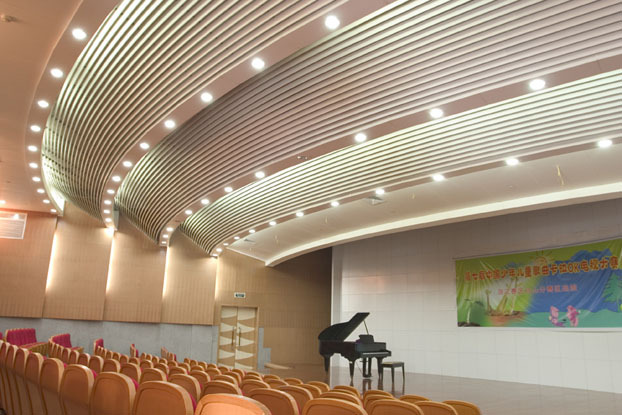 The performance hall provides the most dramatic example, featuring cascading radii of metal that evoke the natural curve of a rainbow. 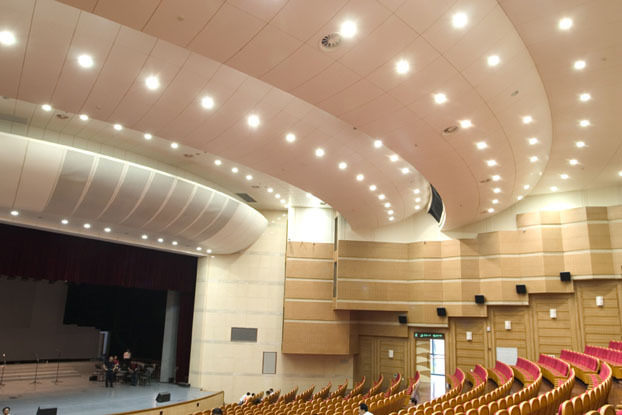 Perforated to deliver good acoustical performance, the ceilings are also easy to maintain and extremely durable, making them ideal also for multi-use rooms and corridors throughout the facility.